Remarks: Real Estate Owned REO. 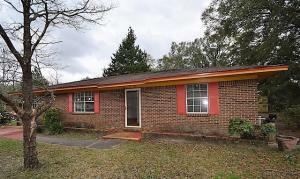 All brick ranch home located on Crestview's southwest side the City of Crestview the county seat of Okaloosa. Home features include living/dining combination, roomy bedrooms and a converted garage area presently used as a family room but could be utilized as a third bedroom. Oversized corner city lot is completely fenced in. About a 20 minute drive from Eglin AFB. Convenient to I-10 as well as local shopping and business district. Call to take a look at 805 W Griffith Ave.
Congratulations on the new listing, Brandon. Best of luck in getting it quickly sold!